There are plenty of great posts out there on conversion rate optimisation, I've linked to a few below, however what can you do to improve conversion rates from an SEO point of view? Lets start with something basic, there are two main ways to increase the conversion rate on a website. If you want to learn about pure CRO and how to carry it out, take a look at this perfectly timed article from Stephen who published this fantastic post on SEOmoz. I'd advise anyone to read this article twice and print off the PDF checklist. Conversion Rate Optimisation is something Distilled love working on and we've had some great results for clients so far. Tom wrote a post on improving your conversion rate in under 5 minutes which I'd advise you to take a look at. Whilst this is another great article from Conversion Rate Experts with more tips and tricks on using Google Website Optimiser. I'm going to focus on the second point above and how conversion rate optimisation ties into your SEO strategy. "I want to be number 1 for all of these keywords"
Their reasoning is either that they want the satisfaction of being above a competitor for a generic keyword, or they've done some very basic keyword research and picked out keywords which get the most monthly searches on Google. When it comes to conversion optimisation for SEO, your priority is to deliver targeted traffic to the website which will improve the overall conversion rate which will bring more sales and generate more revenue. 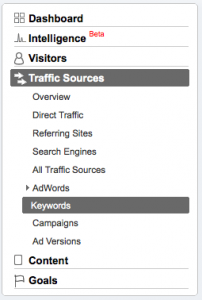 So how do you deliver more targeted traffic? I always think that the best place to start is to see what is happening on your website already. This of course assumes that you have an existing website and a decent amount of traffic going to it already. It also assumes that you have some kind of tracking setup for your conversions, whether it be Ecommerce tracking via Google Analytics or Goals tracking. Bottom line is you need to know where your conversions are coming from. Lets dive into Google Analytics as that is probably the most widely used analytics package you all use - plus I like it! Get rid of all the columns except for keyword, visitors and ecommerce conversion rate. Ok now you have this data, you need to identify keywords which can bring you more traffic. This will lead to more conversions as you know that these keywords have already converted into sales. 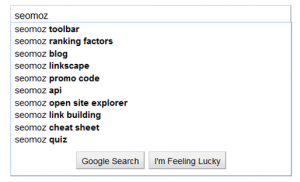 Run all of these keywords through your favourite keyword ranking software. Paste the results of the keyword rankings check into your spreadsheet. 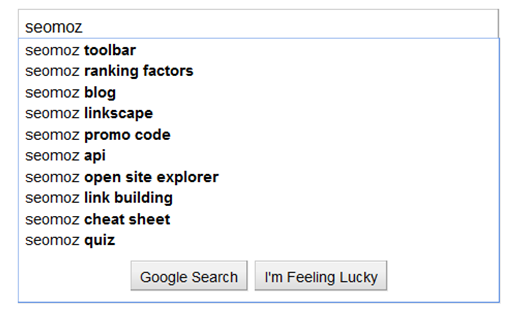 Sort by keyword rank, then by visitors. Now its much easier to see which keywords we could potentially get traffic and conversions for. Unless you are fortunate (or skilled!) enough to already be ranking number 1 for everything! Assuming you are not (yet) then the next step is to go through the list and pick out keywords where you think you can improve your ranking. This is where you need to use a bit of knowledge of your market and experience. You could be ranking second for a high converting keyword but you know that you've been trying for ages to knock Wikipedia off the top spot and it hasn't happened. In this case you may want to move onto another keyword that is more easily achievable. Instead I'll share a technique which is more useful to you in quickly identifying your long tail keyphrases from your research using a bit of Excel goodness. Once you have your big list of keyphrases in Excel, paste the following formula into the cell to the right of your first keyphrase and copy it down the entire column. You will then have the word count of your keyphrases. From here its just a case of sorting by this column and you can easily see your long tail keyphrases. Mash this up with the number of searches and your current rankings and you have a goldmine of data to work from. One word of caution here - chances are that most of the long tail keyphrases on their own will have small search volumes. Its only when you nail quite a few of them that you will see a good increase in traffic. Bear this in mind when explaining your strategy to the client and make sure they are aware that you are going after quality traffic that will convert better as opposed to generic keyphrases. Remember - we are talking about conversion rate optimisation for SEO, not ranking for tons of keywords that don't bring the best conversion rates. This is particularly relevant if you are working on an Ecommerce website. There is a process that most buyers will go through before making a purchase, especially on high value items. The stage they are at in this process influences how likely they are to buy. In terms of pure traffic, you'd like to capture visitors at any stage of this process. However if you are focusing on conversions, then you'd rather capture visitors at the purchase stage. To capture people at this stage of the process, you need to filter your target keywords so that you are targeting ones which have a clear intention behind them. This usually means looking for keyphrases that use words such as "buy, order, purchase" etc. This sounds straight forward but I've seen so many SERPs that change dramatically just by adding these words. Searcher 2 - "wooden shed with apex roof"
Searcher 1 does not seem to know what type of shed they are looking for, nor do they indicate any kind of intention to buy. They could be looking for information or a picture of a shed. Searcher 2 shows that the person has already done some kind of research because they are more specific about the product they want to buy. They want their shed to be made of wood and have an apex roof. The second searcher is the one that you'd target if you were looking to improve the conversion rate of your website. Although targeting the first searcher will bring you much more traffic (and conversions) but I'd imagine the conversion rate would be lower. Again, similar to the long tail principle, you need to be aware that using techniques such as this will not increase traffic in huge volume immediately. The bottom line here is to segment your keywords and look for intention to buy keywords and go after them. I don't mean to annoy my new colleagues over at SEOmoz within my first week but a search for "seomoz promo code" doesn't return them first on Google :). This is a good example of where they capture traffic that is more likely to convert. Below you can quickly see brand variation keyphrases that SEOmoz will want to rank number 1 for. For many websites, their "money" page will not be the homepage. A money page is the page from which a visitor can take the required action to convert. An obvious example is an Ecommerce website where an individual product page will be the money page - the page from which they buy the product. If you can get these pages ranking in the search engines then you are likely to increase your conversion rate. The reason being that you are cutting out a step for the visitor, instead of going to your homepage then having to find their way to what they want, you are taking them straight there. There are two distinct elements to CRO, both are huge subjects in their own right but as an SEO, you should be focusing on the traffic you send to a website and making sure it is very high quality. You can do this by following the steps above. I hope that these points were useful, I'd welcome anyone's feedback on my first Distilled blog post in the comments.